JAKARTA, -- The Indonesian Ministry of Defence (MoD) has selected the Sukhoi Su-35 'Flanker-E' multirole combat aircraft to replace the Indonesian Air Force's (TNI-AU's) ageing Northrop F-5E Tiger II fighters, Defence Minister Ryamizard Ryacudu said on 3 September. 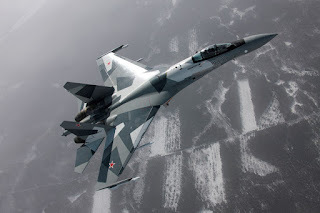 Ryacudu said in comments published by state-run news agency Antara that the MoD has "agreed to buy a squadron of Su-35s" to replace the F-5Es, which entered TNI-AU service in 1980 and are expected to be withdrawn from service by the end of the decade. The programme represents the first export order of the Su-35. The Russian Air Force has ordered 48 of the type, with deliveries commencing in December 2012. The Sukhoi Su-35S designation of production Su-35BM version for the Russian Air Force.